Mumbai: In a major turn of events, the Mumbai Police had arrested five medicos, including the CEO and Medical Director of the reputed L.H. Hiranandani Hospital in Powai, in connection with a racket in illegal kidney sale and transplants, officials said. The five arrested accused — hospital CEO Sujit Chatterjee, Medical Director Anurag Naik and medicos Prakash Shetty, Mukesh Shah and Mukesh Shetye — were produced before the Andheri Magistrate Court and remanded in police custody till August 13. They have been charged with involvement in the illegal sale of kidneys. The police is examining the possible inter-state and global ramifications of the racket. Health Minister Deepak Sawant said the hospital’s licence for carrying out transplants was cancelled last month after the scam was unearthed. “No kidney transplants take place there. We cancelled the licence immediately after we learnt of it last month,” Sawant told media persons. Mumbai BJP MP Kirit Somaiya said the racket had inter-state ramifications and he had spoken to Union Heatlh Minister J.P. Nadda over the issue and some more arrests could be expected. Earlier, an official spokesperson for the Hiranandani Group told IANS that an internal probe is being conducted, and declined further comments till the investigation was over. So far, at least 14 persons, including the five medicos, have been arrested in the case that first came to light in July at the hospital. A few more suspected cases surfaced later and police are probing around 30 transplants conducted at the hospital in the past one year. Following the expose, the Maharashtra Directorate of Health Services set up a committee of medical experts, which found irregularities related to at least four kidney transplant cases. Based on the committee’s report, the police arrested the five medicos of the 12-year-old, 240-bed prestigious hospital, sending shock waves in the state medical fraternity. 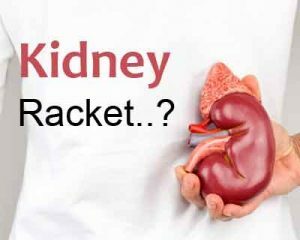 The lid was blown off the racket on July 14 when social worker Suresh Gupta, some political activists and members of a trade union stopped a kidney transplant operation midway, since the donor and the recipient were allegedly found to be fake husband and wife. Delving deeper, the police identified Brijendra Bisen, who created the false documents with the help of two other external agents and has his network functioning mainly in Maharashtra-Gujarat. Incidentally, Bisen was arrested in 2007 when one of the biggest kidney sale-transplant rackets was busted. The accused have been charged under Sections 12 and 21 of the Transplantation of Human Organ Act, 1994, and the Indian Penal Code, said the police. The accused should be in jail for life whosoever they are.Kidney rackets are going on in India. This a social evil – that the rich try to buy kidneys from the poor,asking the poor to pose before doctors as their relatives,with forged marriage certificates and photographs in place ! Shame on such people…..those who commit such forgery have to be seriously dealt with ,not the doctors,who unwittingly believe what is put up by these professional cheats. The doctors are under the scanner for not detecting fraud documents…which are so cleverly made that even the DCP on police could not detect them as fraud,…and doctors are not policemen. Let all kidney donors and their recepients first get certified as bonafide relatives by the police,before they come to hospitals seeking transplant surgery. It is the policeman\’s job to catch criminals,not doctors.